Give your outfit a touch of regal elegance with this solid gold Cuban chain necklace. Wear just the necklace for a more subtle look or attach a pendant for an accessory that draws people's attention. The Cuban chain is 3.8mm thick and comes in a variety of lengths. 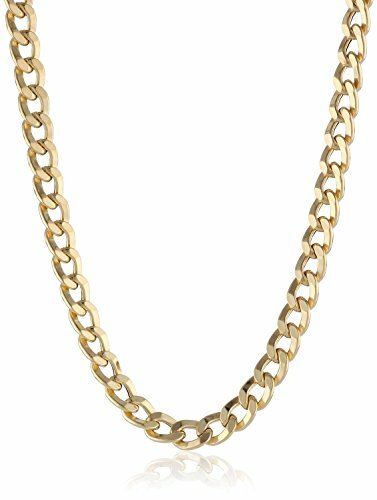 14K Solid Yellow Gold 5.5mm Thick Cuban Curb Link Chain Necklace- Lobster Claw Clasp- 22"
Railroad Bracelet In 14k White Gold Over Sterling Silver 0.75 CT Round Cut White Natural Diamond 8.5"